Welcome, one and all. Two shorter essays for you these next couple of weeks, on two short but discrete chapters here at around the high noon of EarthBound’s day: on Dalaam and then on the museums and sanctuary spots, Magnet Hill and Pink Cloud. First, Dalaam. I love that comma, grammatically superfluous but so wonderfully intimating the cadence of the line. Like at the opening of the game there’s text placing us in Onett, a small town in Eagleland, here we read Dalaam, a country in the East. So that in some sense we’re invited to view the whole game as our dream. The segment is clearly similar to the introduction of Jeff in Winters, as well, so we can expect to be meeting the fourth friend. But if this is Ness’ dream, and this is what he dreams about, then something pretty interesting is happening. Rather than the effect of Paula’s telepathy, which is like a telephone calling to him and to Jeff, this time Ness perceives events at a distance, or even participates in them, as in a dream, or in a video game on a television screen. The foreign language of Dalaam is silently translated, transliterated, as the whole game is for us playing it in translation. And so the layers go something like: we are playing a translation of a Japanese video game about a Westerner dreaming about an Easterner–a dream in the form of a video game. 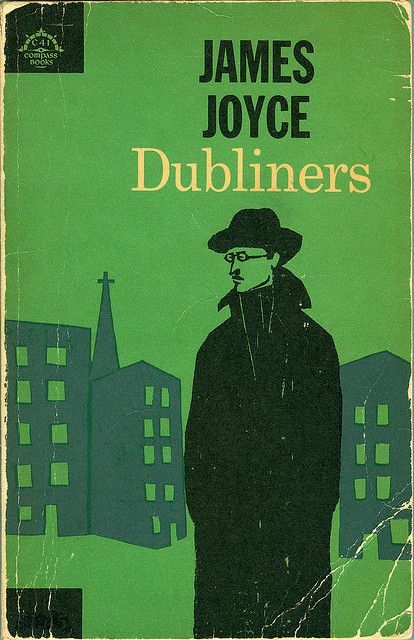 The oneiric layer aside, I’m fascinated by the cultural perspective, and again, as we saw in Summers, by how one of the most magical things about Ness and his friends is their apparent deftness in moving between cultures and languages. All this could just be a way of transitioning to Poo’s adventure. 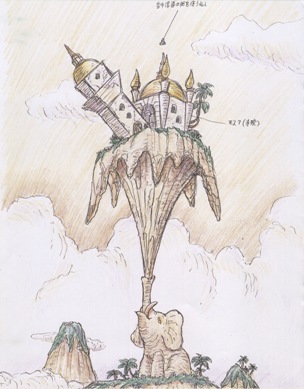 But if this is Ness’ dream, the idyllic mountaintop princedom a reflection of his own suburban home on the hill, well, later on we’ll see his Nightmare. I’ve mentioned it a few times in previous episodes, and I’ll pause just a moment here to correct a thing I said about Ness’ IQ, a clarification on numbers: Ness’ IQ even by the end of the game is likely to be much lower than 100–in my game he’s hovering just below 40 now, over halfway through, and even with the post-Magicant boost I doubt it will reach triple digits. But it still makes sense to take his to be the benchmark average, which is what a 100 IQ is supposed to mean. Apparently, there’s something called the Flynn effect out there, whereby that 100 IQ score represents greater and greater generalized intelligence over time–people are actually getting smarter in that abstract sense measured by the battery of tests! Go figure. To-day the world obtains commodities of excellent quality at prices which even the generation preceding this would have deemed incredible. In the commercial world similar causes have produced similar results, and the race is benefited thereby. The poor enjoy what the rich could not before afford. What were the luxuries have become the necessaries of life. The laborer has now more comforts than the landlord had a few generations ago. The farmer has more luxuries than the landlord had, and is more richly clad and better housed. The landlord has books and pictures rarer, and appointments more artistic, than the King could then obtain. Poo is called to action by his master, a kind of father-figure, who knows it is time to complete his training, but Poo can also call Ness’ dad on the phone–held by a servant on his head, or else consisting of a person with psychic abilities and a haircut in the shape of a phone. At any rate, Ness’ dad will comment on your voice changing and save the game for you. Poo’s other PSI abilities are a mix of Ness’ and Paula’s, with offensive Freeze and Thunder, but also Life up, Healing, and Teleportation. Like Jeff, he has some idiosyncratic skills with items, as well, such as the mystical power to recover PP from water, and the mystical incapacity to benefit from equipping any of the western garb or weapons favored by his teammates. In battle, he possesses an extra command about as useful as Jeff’s Spy. Whereas Spy shows you enemy weaknesses and gives you a heads up if they’re carrying a present, Poo is able to Mirror the enemy, changing into it and giving it a taste of its own medicine. Echoes here of the “mirror of princes” genre, writings dedicated to cultivating the ruler, stemming from Xenophon’s Cyropaedia and culminating in, and ultimately superseded by, the practicality of The Prince by Machiavelli, on the one hand, and the cosmopolitanism of The Book of the Courtier by Castiglione on the other. As useless as it is in most battles, there is something elegant about Prince Poo’s power to transform into his foe, representing an ideal mastery of forms and transferal of energies, a humbling of his high station and capaciousness of understanding, to literally take on the shape of his adversary, a godlike protean playfulness and creativity. In the shade of the house, in the sunshine on the river bank by the boats, in the shade of the sallow wood and the fig tree, Siddhartha, the handsome Brahmin’s son, grew up with his friend Govinda. The sun browned his slender shoulders on the river bank, while bathing at the holy ablutions, at the holy sacrifices. Shadows passed across his eyes in the mango grove during play, while his mother sang, during his father’s teachings, when with the learned men. Siddhartha had already long taken part in the learned men’s conversations, had engaged in debate with Govinda and had practiced the art of contemplation and meditation with him. Already he know how to pronounce Om silently–this word of words, to say it inwardly with the intake of breath, when breathing out with all his soul, his brow radiating the glow of pure spirit. Already he knew how to recognize Atman within the depth of his being, indestructible, at one with the universe. There was happiness in his father’s heart because of his son who was intelligent and thirsty for knowledge; he saw him growing up to be a great learned man, a priest, a prince among Brahmins. There was pride in his mother’s breast when she saw him walking, sitting down and rising: Siddhartha–strong, handsome, supple-limbed, greeting her with complete grace. Love stirred in the hearts of the young Brahmins’ daughters when Siddhartha walked through the streets of the town, with his lofty brow, his king-like eyes and his slim figure. Govinda, his friend, the Brahmin’s son, loved him more than anybody else. 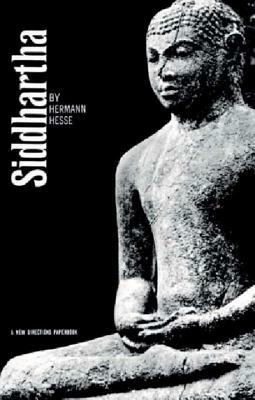 He loved Siddhartha’s eyes and clear voice. He loved the way he walked […] He wanted to follow Siddhartha, the beloved, the magnificent,. And if he ever became a god, if he ever entered the All-Radiant, then Govinda wanted to follow him as his friend, his companion, his servant, his lance bearer, his shadow. That was how everybody loved Siddhartha. He delighted and made everybody happy. But Siddhartha himself was not happy. Some of Poo’s subjects seem to recognize him, asking if he has time to play patty cake with them or if he has to train again. The girls all seem smitten, whether they know him by sight or only by hearsay; the men are in awe of his stern regimen, or busy meditating themselves. What is immortality? the first person you meet outside the palace asks, Is it everlasting life? Mmm, mmm. The question bears considering. The theme of immortality will lead us into the pyramid hieroglyphs in the Summers museum, next episode, but also into the Mu training that will occupy the remainder of this one. Mu, translated as nothingness in some places, left the word Mu in others, is both a proper noun, a name of a place, and a convenient locus of cow puns. Moo training, says one of the girls: Have you seen Prince Poo? I want him to come do his best barnyard impression. The meditating ascetic on the side of the path preets and poots, but yet another wise man, already adept at Mu, dressed in loose gray robes, compliments your eyes and promises to show you a higher level of intelligence once he completes his own further training, as you are about to complete Mu training. This second master, greeting you then whirling away, is confusing, but it seems that this training is not something to be learned from another living person, however enlightened. Is it then something to be sought within oneself? Climbing the series of ropes, Poo sits cross-legged at the top of the narrow peak, sky all around but for one patch of Dalaam town visible, where a girl comes to tell you the Master needs you. If you stir, the training breaks off, you’ll be chastised and have to start all over. If you sit still, the huge head outline of a ghost descends to envelop you; a moaning and groaning as of Tibetan monks fills the air, the screen shifts to a combat, but your only options are to answer yes or no to the ghost, which turns out to be the spirit of Poo’s ancestors. Each time it describes a gruesome attack, depriving Poo of his faculties or limbs, and describes the consequences–you won’t be able to fight back, to move, to see, to hear. Do you accept this? the spirit asks each time, and each time, in order to pass through, you must select yes. Finally, the spirit promises to take your mind, but that, it seems, will wait. And so Nothingness, Mu, is the place where the spirits of the living and dead overlap and communicate but also the trial, the ordeal, which leads up to and stops just short of ultimate nothingness. A struggle not so much of the living against the dead as against our own instinct for life, our own conception of life. But perhaps immortality is something other than everlasting life, something not extended in quantity, in more life, but different in quality, as better and truer life. Or so it appears to the adept, and with this possibility experienced, though seemingly KO’d in the fight, Poo walks away victorious and is permitted this time to proceed. The sitting in emptiness, confronting the past and the unknown beyond the world of the senses, then, is not lost time, but the final stage in training for a further test, the adventure beyond Dalaam. Poo’s Mu training was inspired by a Chinese tale about an unhappy man named Toshishun who travels with a hermit to a sacred mountain. Toshishun is told to remain silent as a test. He sits quietly as he endures gruesome trials and has his body ripped apart. He only breaks his silence when apparitions of his parents are brutally beaten. The Master replied “Mu!” And this disciple instantly achieved enlightenment. For the practice of Zen it is imperative that you pass through the barrier set up by the Ancestral Teachers. For subtle realization it is of the utmost importance that you cut off the mind road. If you do not pass the barrier of the ancestors, if you do not cut off the mind road, then you are a ghost clinging to bushes and grasses. What is the barrier of the ancestral Teachers? It is just this one word “Mu” — the one barrier of our faith. We call it the Gateless Barrier of the Zen tradition. When you pass through this barrier, you will not only interview Chao-chou intimately, you will walk hand in hand with all the Ancestral Teachers in the successive generations of our lineage — the hair of your eyebrows entangled with theirs, seeing with the same eyes, hearing with the same ears. Won’t that be fulfilling? Is there anyone who would not want to pass this barrier? So, then, make your whole body a mass of doubt, and with your three hundred and sixty bones and joints and your eighty-four thousand hair follicles concentrate on this one word “Mu.” Day and night, keep digging into it. Don’t consider it to be nothingness. Don’t think in terms of “has” and “has not.” It is like swallowing a red-hot iron ball. You try to vomit it out, but you can’t. Gradually you purify yourself, eliminating mistaken knowledge and attitudes you have held from the past. Inside and outside become one. You’re like a mute person who has had a dream–you know it for yourself alone. Suddenly Mu breaks open. The heavens are astonished, the earth is shaken. It is as though you have snatched the great sword of General Kuan. When you meet the Buddha, you kill the Buddha. When you meet Bodhidharma, you kill Bodhidharma. At the very cliff edge of birth-and-death, you find the Great Freedom. In the Six Worlds and the Four Modes of Birth, you enjoy a samadhi of frolic and play. How, then, should you work with it? Exhaust all you life energy on this one word “Mu.” If you do not falter, then it’s done! A single spark lights your Dharma candle. Anyway, I think the “Nu” might be a reference to Zen teachings, or nothingness, since it sounds very similar. Also, “nu” in Japanese is simply one letter. That concludes Evilhead’s explanation. Anyway, I’ll give credit to this one for its extreme detail and spirituality reference to life, but I don’t see how, even though they’re similar, Mu could be Nu. Call them both deep – Deep and again deep: the gateway to all mystery. Don’t glorify heroes, And people will not contend. Don’t display what people desire, And their hearts will not be disturbed. Bottomless – the origin of all things. I don’t know whose child it is. It is older than the Ancestor. Make fair rules. Do the right thing. Work when it’s time. Hold and fill it – No as good as stopping in time. Measure and pound it – It will not long survive. 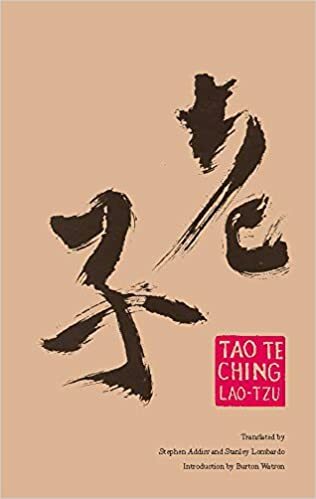 Withdrawing when work is done: Heaven’s Tao. As with the Place of Mu, this sort of discussion and sharing of ideas manifests a way of recovering the time, in Proust’s phrase, or of distilling and dramatizing those Joycean epiphanies–taking the time that could have been lost while playing old video games, realizing that playing is never lost time, first; and, second, that that realization can be meaningfully transmitted across time and space, even if only in some indirect, negative form, and could even help someone else recover time that might otherwise be lost, giving them something to listen to during a commute or while waiting for something to happen. What happens to Poo, upon reconnecting with the Master at the palace and getting his story about eternity and the mission to combat the forces arrayed against us, is that he gains three levels at a jump and realizes the power of teleportation Beta, allowing movement in a tight circle, and in that special case even from inside the palace, to take him to Ness and friends on the beach. This power is one Ness will eventually learn, too, but it now effectively opens up Saturn Valley with its free hotel room and doctor’s office, knitting time and space together and the far-flung peoples of the world all the more readily. In line with the old master’s message, Poo embraces his task at once, and in doing so he recognizes Ness’ leadership, pledging his service to the young hero–he, a prince from the East, to obey this baseball player rounded with baby fat–placing his life in Ness’ hands. It’s a kind of fealty but also friendship, to lay down one’s life for his friends, as Poo did for the ancestors at the Place of Mu. Exploring Summers once more, you’ll find a few of the inhabitants say something new about Poo’s kung-fu haircut or the ruby he bears: Will the samurai kid be giving me that ruby? says the guard at the museum, and handing it over allows the party to pass through a door previously blocked at the museum. What could be beyond it? We’ll see next time. I’ve always been very curious about the significance and inception of the Mu Training. It’s surprisingly graphic for such an overall cartoonish game (like the final boss fight) and to me it always demonstrated that EarthBound had no kid gloves to take off. It could be raw at times and it had no qualms about doing whatever it wanted. It’s nightmarish. I’ve spent some time in my life thinking about that and I think that Christ’s concept of immortality there doesn’t begin at death at the threshold of the next life. It begins now. That’s encouraged me to live a fuller life today and pursue abundant life now, rather than merely wait for it then. It’s like there’s continuity to this concept of immortality. It’s not compartmentalized. I was talking to my brother about that recently. 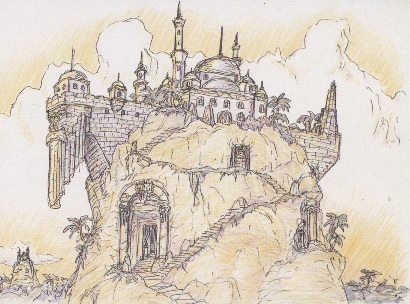 Many JRPGs incorporated concepts from Western philosophy and religion, interpreted through the lens of the Eastern perspective and language, then localized and translated into English. Breath of Fire II is one I’m thinking of in particular. No wonder some of the 16-bit and earlier JRPGs had some… interesting storytelling choices. EarthBound seems much more self-aware in this area.